Chalupas are similar to what we usually call tostadas in the U.S. A chalupa is a corn tortilla, often pressed into a mold and deep-fried. The tortilla "boat" (chalupa) is then filled or topped with meat, chicken, veggies, seafood, potatoes or whatever else you care for. 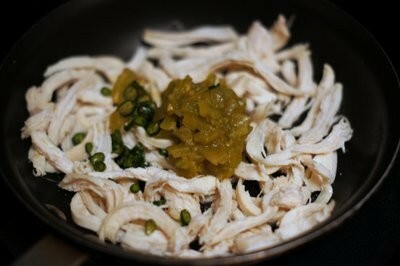 I like to make use of leftover roasted chicken when I make chalupas. I tried to lighten up and simplify the standard chalupa recipe here by using tortillas that are pan-roasted, not deep-fried. I also really like a garlicky salsa with my chalupas called salsa de ajo, made with reconstituted dried chiles and garlic. I include the fairly mild salsa recipe here, but it's optional and you could simply substitute your favorite salsa or hot sauce. Chalupas are great topped with tomatillo sauce, too. 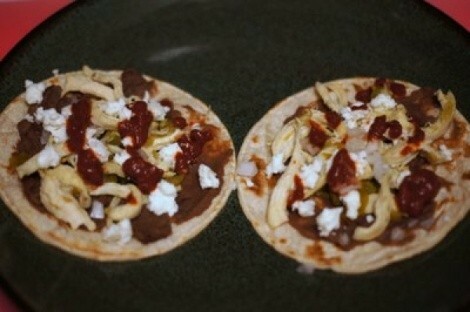 The following recipe makes about eight chalupas, using standard-size corn tortillas. You could use smaller, 4-inch tortillas to produce appetizer-size chalupas. It's very easy to increase the amounts of ingredients to make a bigger chalupa batch. To make the (optional) salsa de ajo, bring a medium saucepan of water to a boil. 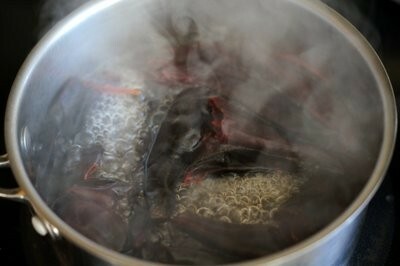 Remove from heat and plunge the dried chile peppers into the hot water to soak and reconstitute. Place a small plate or pot lid smaller than the diameter of the saucepan on top of the chiles in order to keep them submerged in the hot water. 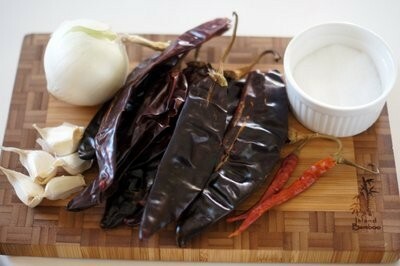 Allow the chiles to soak for 30 minutes. 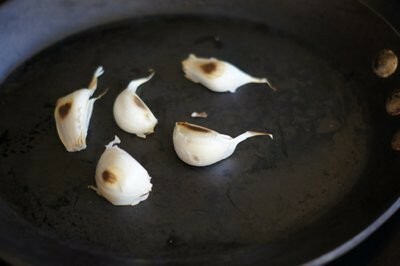 While the chiles are soaking, toast the garlic (skin on) in a dry skillet over medium heat until charred a bit. Allow the garlic to cool, then remove the skins. 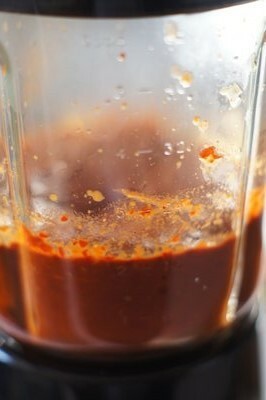 Drain the reconstituted chiles, reserving 1 cup of the soaking liquid. 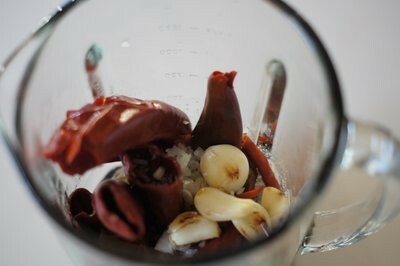 Place the reconstituted chiles, garlic, onion, salt and 1/2 cup of the reserved liquid into a blender. Puree until the salsa is thick, but pourable -- about the consistency of pesto. 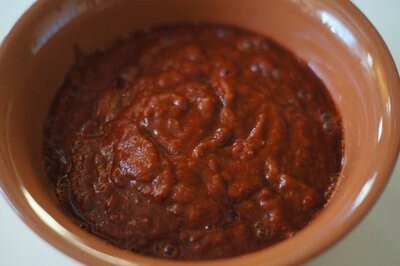 If the salsa is too thick, thin it out a little with an additional tablespoon or two of the reserved liquid. Pour the salsa into a serving bowl and set aside while you make the chalupas. 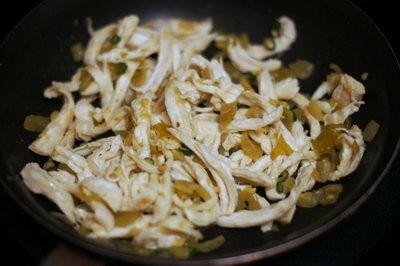 In a medium-size skillet (preferably nonstick) over medium heat, stir together the shredded chicken, canned chiles and minced Thai or serrano pepper. plus salt to taste. Cook, stirring occasionally, until heated through. 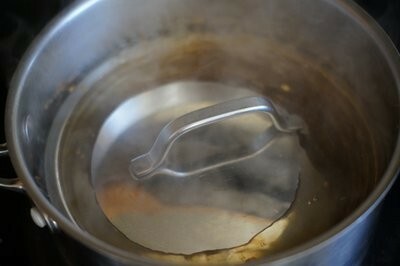 If the mixture gets too dry, add a tablespoon or so of water or broth. 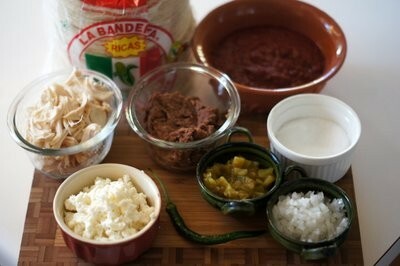 Heat the refried beans until just warmed through in a skillet or microwave. 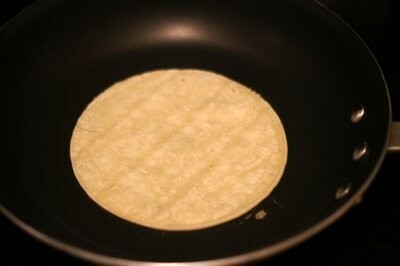 In a medium dry skillet over medium heat, heat the corn tortillas until lightly toasted on each side. Set aside, wrapped in a kitchen towel or tortilla keeper, until ready to serve. To assemble the chalupas (I usually let my guests do this themselves), smear about a tablespoon of refried beans onto each tortilla. 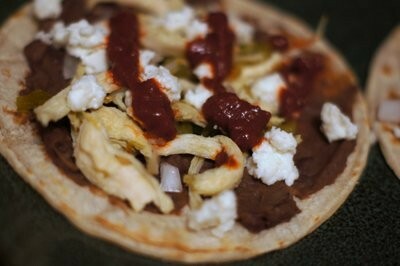 Then, top sparingly with a few shreds of chicken, followed by crumbled queso fresco and some minced onion. Finish the chalupas off with salsa.